Billy Bragg said in a press conference that he doesn’t understand why Google would shoot itself in the foot by alienating indies. Frankly, neither do we. As Beats, Spotify, and others earn praise from indies, Google is looking like music’s biggest new villain. According to independent labels, Google is ignoring their collective negotiating groups, offering poor terms in comparison to what they offer majors, and then threatening to block artists and labels from YouTube if they don’t accept those disadvantaged license deals on the company’s new service. And a Google executive today all but publicly confirmed the threats to the press. You might expect that Google would want to burnish its image in light of an upcoming paid streaming service (think Google clone of Spotify, possibly), especially with the public eyeing Amazon for strong-arming its publishers. Instead, Google not only offers no public response to complaints from indies, but appears to be on the record promising it will ban music labels and artists have put on YouTube. 2. This seems to mean YouTube as you know it now, not the paid service explicitly. And the promise is “within days” – even though the new service is expected later. The other implication is that you won’t be able to view content free without a subscription pass. The Verge has a source that confirms some of these details, and suggests that Google may not want a hybrid service, part ad-supported, part subscription-based. If correct, that would indicate a fundamental shift in how YouTube shares music. Regardless, if Google really is being fair to indie labels, they’re not taking that message to the public. And for now, every indication is that they’re being anything but fair. Indies had already taken their fight public. Artists and labels earlier this month held a press conference to complain of strong-arm tactics. There, they said Google had threatened to remove content from YouTube if they wouldn’t sign on – a claim Kyncl appears to confirm. 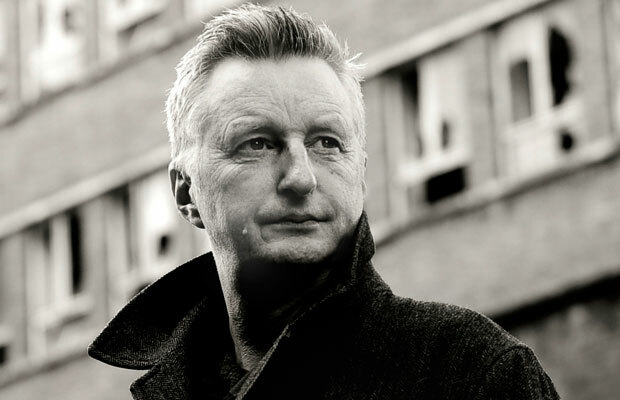 Artists like Billy Bragg were on hand to argue the case. The Register has proposed why labels would be so unhappy. Sources tell that outlet that YouTube made two moves to disadvantage indies. One, they went directly to indie labels individually with a boilerplate contract, rather than work with Merlin, which advocates on behalf of indies as a group. Just as a trade union allows workers to collectivize, in other words, Merlin improves the negotiating position of smaller labels. Two, sources in the Register also say that Google is offering better license terms to majors than minor labels. That makes the threats to ban artists and labels from YouTube all the more chilling. It seems to me the big question is whether Google is bluffing or not as far as removing content from YouTube. Indies rely on YouTube to promote their music. Google needs those indies onboard for its music subscription service to be a success. On the other hand, by alienating those indies, Google could doom its own efforts to compete with Microsoft, Spotify, Amazon, and Beats (now meaning also Apple). There’s no question in my mind that this all directly impacts producers of music and independent taste makers. We need a healthy ecosystem of labels to support the music we make and care about. In turn, the health of the community that DJs, that creates new sounds, depends on the Internet being a level playing field for music. The counter argument was that I left out “losers,” and that content producers were at the top of that list. But I’m not convinced that has to be the case with streams. The reason I spoke of opportunities was not that I’m necessarily optimistic, but that I think, faced with an irreversible trend, it’s worth seeking out the light and finding success as the landscape shifts. And many artists are doing just that. There’s a reason artists and labels are so quick to upload their work to SoundCloud and YouTube, even without revenue: there’s some value there, when they have control. I don’t think we know just where artists will land in this new world order. But we know the streaming model is coming with a vengeance, and that companies like Spotify, SoundCloud, Beats/Apple, and now Google will be gatekeepers. One major question is just how those gatekeepers behave. And that depends on how the people making the music – and, perhaps, regulators like Europe – respond. And Google, if you’re looking to make friends in the music world, uh, this is not a great way to go about it. Postlude: Bottom line – this is about YouTube’s power more than it is even about royalties or negotiations. Many readers have expressed skepticism about just how useful Spotify and Beats are to minor labels, whatever the indie trade groups may claim. But to me, this isn’t really about payouts. The question is whether content you as an artist or label have uploaded to YouTube is now on the negotiating table. YouTube is ubiquitous enough that not being there could be damaging. Here, Google is using that power as leverage. And YouTube, in turn, is deeply integrated with Google search. That’s where the power of an Internet monoculture becomes so potentially damaging. That seems to matter more in the long term than what royalty rate you might negotiate. And it seems that regulators should consider whether this sort of power ought to be in Google’s hands in the first place.